"What's Lisbon like? ", I asked my Portuguese father in law. "Is it like Porto?" 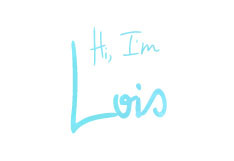 "It's different," he said with a mysterious smile. "You'll see." I took his answer as something of a gift, waiting to be unwrapped at the right time. 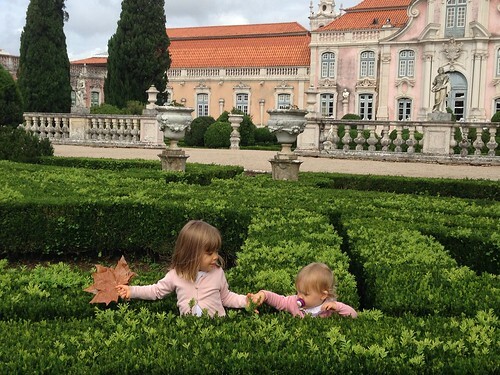 Instead of booking with an impersonal hotel, I really wanted to make our first trip to Lisbon as a family very special. I was looking for a place that reflected this city which kept its deep connection to its past and at the same time celebrates its youthfulness. 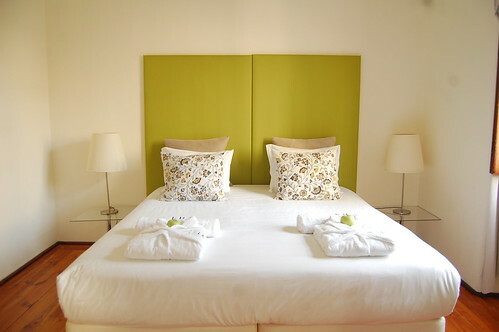 We were lucky enough to find such a place in the heart of the city at Lisbon Dreams Guest House. 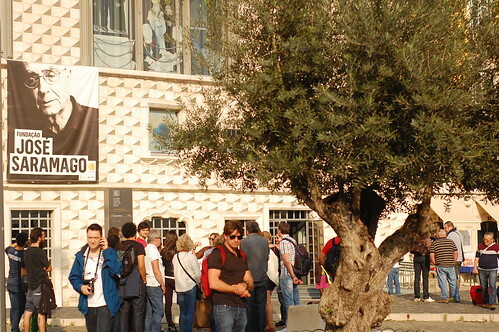 Travel Tip: Lisbon can very busy during the summer months between June-August. So it's best to plan your trip outside of those months. We arrived during off season in early November which meant better rates for mostly everything from accommodations, tours, and transportation. And the weather is still gloriously sunny at that time, possibly the warmest in all of Europe for this period. We were welcomed at the entrance by the smell of roses, and a sweet surprise, the managing partner herself, Cleelia who is as warm in person as she is in her emails. She had sent me a PDF file containing a lot of information about how to find the guest house, where to park the car and all those little details that just makes a traveler's life much easier. She welcomed us into the charming, old building which seemed to me like a mansion that was converted into rooms for guests. Once inside, I couldn't help but applaud their team for the tasteful interior design which was minimalist with a personal touch. There were little notes everywhere inviting us to sample some candy, try some local drinks or share a few things about the place. When we got into our room, it felt like coming home. The bed was extremely comfortable, and they laid out some slippers, robes and goodies to greet us. I loved the signature green apples on top of the pile, and my daughter agreed. She grabbed one immediately and started to devour it. 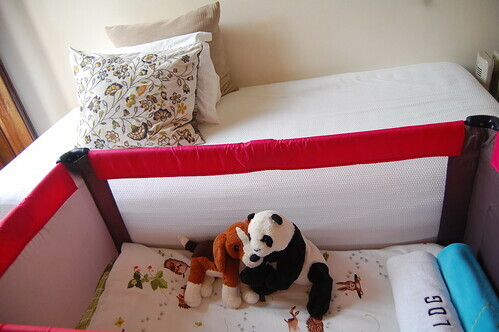 They were so thoughtful that they even assembled a crib with some stuffed animals without me asking for it. I opened one of the 2 large windows from our room and was welcomed by a piece of Lisbon basking in the sunlight. I couldn't believe how central our location was! 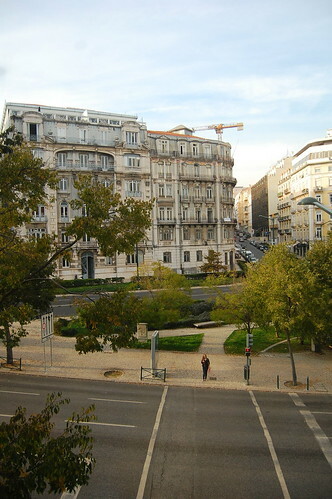 It's only a short walk to Avenida de Liberdade, Lisbon's main thoroughfare. So it's easily accessible to many metro stations. We decided to park our car at a nearby garage and explore the city on foot the next day- like locals. One of the best parts of being on vacation is not having to worry about cooking. And in this place, breakfast is the most important meal of all! I arrived early at the breakfast hall and saw a beautiful spread already laid out. The mini croissants were just popped into the oven. The orange juice was freshly pressed. 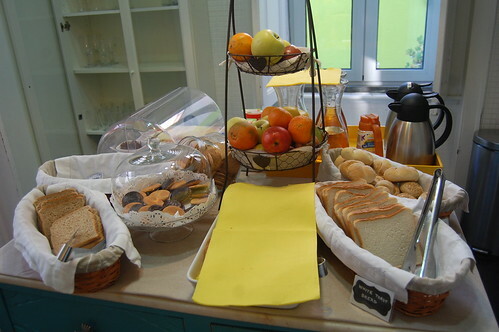 The buffet table was already filled with fruits, jams, yogurt, breads, and an assortment of local meats. The strong smell of coffee filled the room. And it wasn't just the food. The ambience was just very laid back and calm. There were private nooks and even an outdoor terrace. 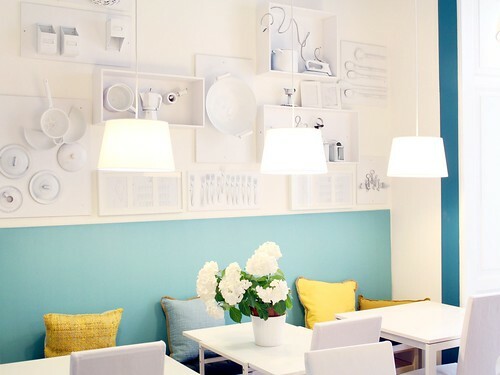 They also decorated a wall with lovely kitchen accessories in soft pastels. I could feel myself getting happier the longer we stayed here. After a heavy breakfast, it was a good decision to walk around the city aimlessly. 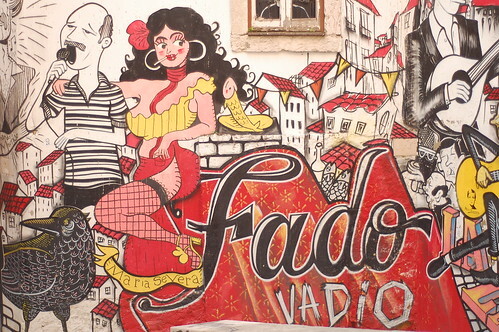 We quickly got seduced into this city's charming old streets. pastel colored buildings and street art. 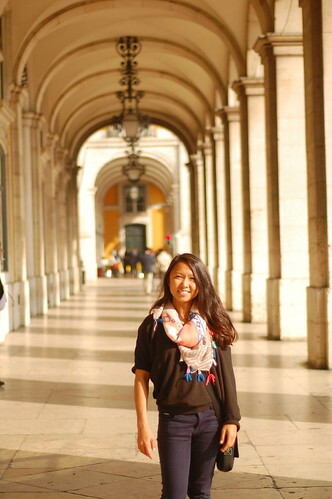 Travel Tip: When exploring the streets of Lisbon, it's best to go on foot and travel light. Wear comfortable clothes and footwear because you will definitely do a lot of walking, whether you like it or not. And you must bring a camera. This place is too photogenic to merely keep in your memory. At first, we tried to explore on our own, just going where our feet would lead us. 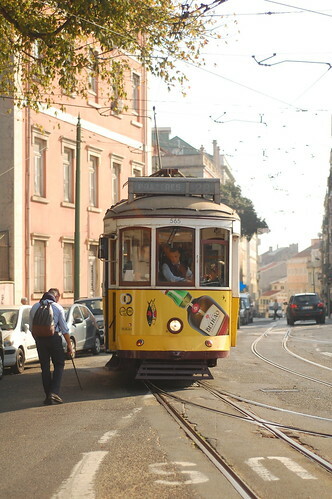 We took the famous Tram 28 which is the longest route in Lisbon, looping through the east of Baixa, Graça and Alfama before heading west to Estrela and Campo de Ourique. Travel Tip: If you're short on budget and time, Tram 28 is the best way to explore the city. Not only do you get to see a lot of places, take many beautiful shots along the way, you also save yourself from the steep hill from Baixa to Alfama and the castle. It's also very inexpensive at less than 3 EUR one way. If you plan to take more than 1 tram for the day, the best option is to buy an unlimited 24 hour pass, which includes metro, tram and bus services. They cost 6 EUR and can be bought from metro stations, but not on the tram. Avoid taking this tram in the afternoon during the summer tourist season as it's always packed. But if you manage to take it at the first stop at Praça do Martim Moniz, quickly grab a window seat to get the best photos! We ended up at the nondescript Campo de Ourique station and decided to just keep walking. While we deliberately got lost in some forgotten cobblestone street, I glimpsed the familiar image of my favorite Portuguese writer, José Saramago. I wanted to visit the Fundação José Saramago But I knew we didn't have even an hour to spend inside. And why stay in when the there was so much more of the city to discover in this beautiful light? So I took a few pictures outside while my husband was drawn by a strong and authoritative voice that told us a lot of interesting things about the fundacion. Okay, we were eavesdropping on a tour group. We were amazed to find out that Saramago's ashes were buried underneath a hundred year old olive tree where my husband was casually resting his tired shoulder. The voice was so engaging that we decided to join the tour. 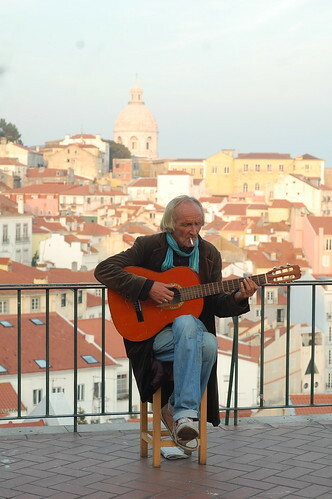 It belonged to Doron Klemer, a tour guide in Lisbon who originally came from the United Kingdom. We followed him through the maze of the city's streets and were delighted to discover little pieces of history, street art, artisanal shops- odds and ends that we never would have stumbled upon on our own. Our tour ended in Alfama. Consider it a short penitence to walk up and down the steep, narrow, and cobblestoned streets. But it was worth it to catch a glimpse of the more authentic side of Lisbon, the rough parts, where there were hardly any tourists (save for us of course). We celebrated the end of the day with a dose of Fado and a shot of Ginjinha which is a Portuguese liqueur made by infusing sour cherries in alcohol and adding sugar with some spices. We drank to this amazing city and for finding ourselves here. We arrived back at the guest house with our hearts and memory cards full and our feet sore from all that walking. Our daughter had literally crawled her way through this city. We were welcomed back by Cleelia and I was able to chat with her a bit. Tell us a bit about yourself and how you got into this business. I was born in Tallinn, Estonia. 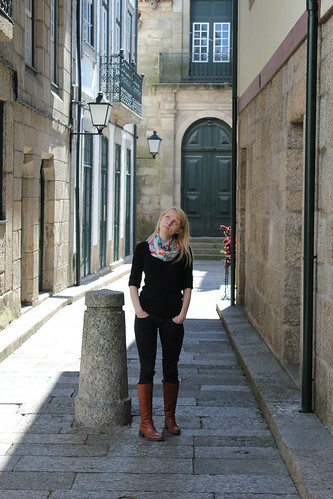 I came to Lisbon 10 years ago because of a personal relationship and the will to study abroad. I studied for my Masters in International Management and at the end of the first year, I got a job in a hostel. I worked for 2 and a half years in the hostel. I started as a receptionist and later on got promoted as a manager. I truly loved the experience and I am forever grateful to my former boss for giving me the opportunity. 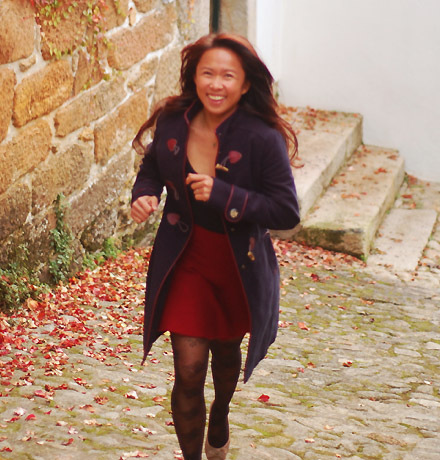 I left the hostel with the aim to pursue a more corporate career, which was what I thought I should and wanted to do. Luckily things did not work out, as the economic crises interfered. Little did I know at the time that I will return back to tourism and hospitality. How did you arrive at the idea of opening a guest house? I was desperately trying to figure out what to do with my professional life. And then, almost out of nowhere, me and my husband (still a boyfriend at the time) came up with the idea to open a hospitality business. Being a cross-cultural couple passionate about travel, it somehow felt natural. I happened to have some experience as well as the business knowledge from my previous work as an accountant back home. My husband was already an entrepreneur, so things just happened organically. Two months after we conceived the idea, we had the opening day. 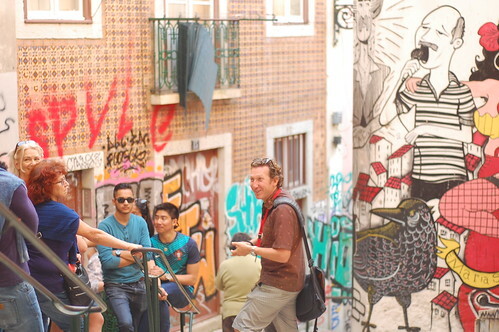 Lisbon Dreams is certainly more luxurious than a hostel. How does it stand out from the usual accommodations? I did not want to open a hostel. I wanted something calmer, something that could also correspond to the phase of life I was heading to. So the idea of a guest house was born. A place with private rooms, but with shared facilities. I have always been a bit of a dreamer and believer in magic, so developing the concept a bit further resulted in an "affordable luxury" concept. 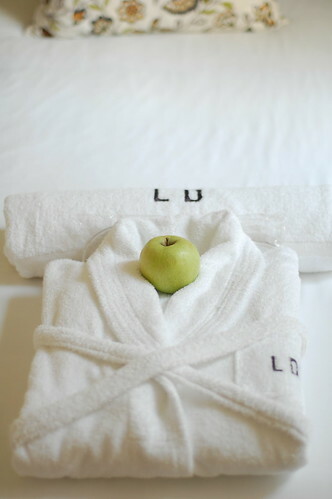 A good quality bed linen (100% cotton), fluffy bathrobes and shower towels, green apples were just few details we came up with at the time. Over 6 years ago, this concept made a lot of sense since the "budget" accommodation market in Lisbon was still in its infancy. There were only few hostels, a couple of guest houses and a row of old dodgy "residencials". During these last years the market has developed so much and so many wonderful new places have suddenly appeared. I am excited about this development, because I know that we were among the first ones out there, hopefully inspiring others. How has your adventure with Lisbon Dreams been so far? Our guest house has been filled with people since day 1. These years have been a wonderful journey of meeting many people, facing many challenges and dreaming about the future. I am very grateful to my entire team, the people who already have worked with me and the ones who are there today - without them it would not have been possible to maintain such a stable level of service and experience throughout the years. 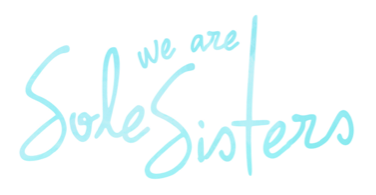 It has been both fun and challenging for me since the guest house has been strongly interrelated with my own life. I got married five years ago and I also became mom twice during this time (my daughters are now 2 and 4). I like to say that the guest house is like my oldest child, which is quite close to the truth. 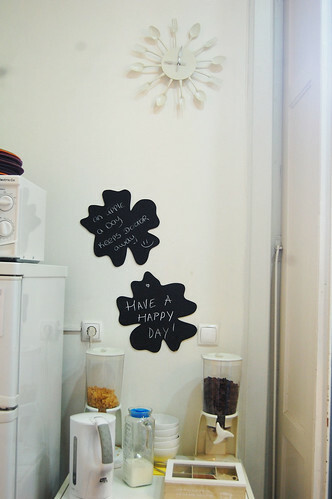 How do you make sure that every guest has an unforgettable experience? Our guest house is happily receiving all types of people - we have a lot of couples, friends, families but also solo travellers from all over the world. We try to provide the guests with the best possible service. We try to notice people. We try to celebrate their special dates and anniversaries. We try to take into consideration all the special requests if possible. And most of all, we try to share with guests our knowledge and passion for our city. Do we fail? Yes of course sometimes we do, but we try to get on our feet and improve and do better the next day. Last but not least, we are really grateful for all the guests who choose to stay with us. And when they leave happy, we know we have done a good job. After our weekend in Lisbon, we said goodbye to Cleelia and her team and headed home. My head was still spinning from the magic of Lisbon, how Cleelia's dream had become a reality, and how this trip had transformed me. It's as if something in me had unfurled and opened and I knew I would bring back a part of this magic whereever I go. 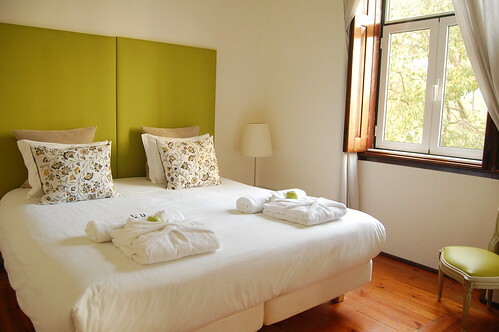 Author's Note: Our gratitude goes to Cleelia and the Lisbon Dreams Guest House team for accommodating us in Lisbon. All opinions are my own. 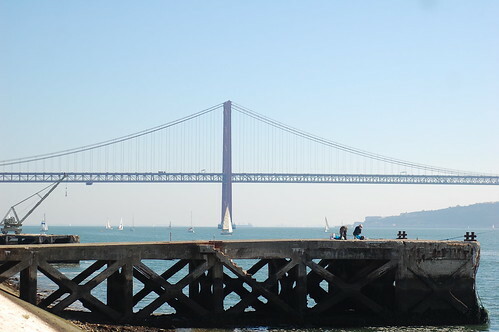 Lois, I loved this post on Lisbon, as I have been contemplating a short list of places to live/work from for 3 months before heading back to Bali. This will be sometime in July. Curious to know about living costs, wifi access (you know I need it lol), and the community there (are the co-working spaces or an expat community?). Love to hear your thoughts.